Yesterday, so I am told, was international happiness day – not that there was much of it in SW1. As each day brings new shocks to the system, with developments stretching credulity beyond any tolerable limits, we find ourselves having to learn that the inconceivable is part of the new norm. What once might have been considered beyond the realms of the possible are now taken as routine. By whatever measure you might care to use, though, the prime minister’s statement yesterday was extraordinary, coming on the back of her letter to Mr Tusk, asking for a limited Article 50 extension, and his response making the extension conditional on the MP collective ratifying the Withdrawal Agreement. It was ironic that, even as she spoke, I was on BBC Radio 4's Moral Maze being lambasted by former cabinet minister Michael Portillo for being "crude and belligerent". I had, after all, dared to suggest that our "principled" MPs make the effort to acquaint themselves with the technicalities of Brexit, also averring that the sheer inability of so many of Westminster's finest to get to grips with the issues rendered them fair game for the epithet "stupid". The irony comes with the content of Mrs May's speech for, while Portillo was defending his former colleagues, the prime minister was very much on the attack. It was nearly three years since the public had voted to leave the EU, she said, and MPs had been unable to agree on a way to implement the UK’s withdrawal. As a result, we would now not leave on time with a deal on 29 March. This delay, she added, is a matter of great personal regret for me, but went on to declare her certainty that the public had had enough. "You are tired of the infighting", she said, "You are tired of the political games and the arcane procedural rows, tired of MPs talking about nothing else but Brexit when you have real concerns about our children’s schools, our National Health Service, and knife crime". Echoing what is self-evidently a widespread public sentiment, she posited that we, the public wanted this stage of the Brexit process to be over and done with, a proposition with which she agreed. "I am on your side", she said. "It is now time for MPs to decide". Here, then, was a direct challenge to the collective. She had written to Donald Tusk to request a short extension of Article 50 up to the 30 June to give MPs the time to make a final choice. Now they had to confront the issues. It was time they made a decision. "Do they want to leave the EU with a deal which delivers on the result of the referendum – that takes back control of our money, borders and laws while protecting jobs and our national security? Do they want to leave without a deal? Or do they not want to leave at all, causing potentially irreparable damage to public trust – not just in this generation of politicians, but to our entire democratic process?" "So far", Mrs May said, "parliament has done everything possible to avoid making a choice. Motion after motion and amendment after amendment have been tabled without Parliament ever deciding what it wants. All MPs have been willing to say is what they do not want". Prior to this speech, all sorts of speculation had been rampant, up to and including Mrs May resigning and calling a general election. The Westminster lobby was at fever pitch and just about anything was on the cards. But the outcome has proved somewhat more prosaic, if rather courageous (or foolhardy, depending on your perspective). What Mrs May has effectively done is by-pass the House of Commons and appeal directly to the public, daring the MPs to put up or shut up. Although we have no date set, it would appear that the Withdrawal Agreement is to be put to MPs next week, before the scheduled Brexit takes effect, when there will be the choice they have been doing everything they can to ignore: deal or no-deal. The way this choice is now being framed is that, if the MPs support the deal, we get an Article 50 extension which then leads naturally into the transitional period. If they reject it once again, then we drop out of the EU on 29 March – only a mere eight days away – for the hardest of all possible hard Brexits. What makes this different this time round is that any blame for a hard Brexit is likely to fall fair and square on parliament. MPs will be in the hot seat, having to explain to their constituents why they have taken such a damaging course of action, with a good chance that some of them could lose their seats as a result. Despite the sensibilities of Mr Portillo, though, it looks as if Mrs May could have got it right. With their behaviour in the House, MPs have made themselves no friends. Their apparent – and sometimes very real – detachment from their constituents has weakened their standing and their poor grasp of issues has clearly irritated many people who have themselves taken the trouble to understand what is at stake. That notwithstanding, Mrs May is taking a serious gamble. There is a significant – even if undisclosed – number of MPs who would welcome the prospect of a no-deal Brexit on 29 March. Many of those are unlikely to respond to the prime minister's ultimatum, while their numbers are not likely to be made up by Labour MPs filling the ranks. Then there are others who simply haven't understood the issues and believe that a sprinkling of unicorn dust will solve their problems, so they don't have to vote for the Withdrawal Agreement after all. That leaves others who think that, at the last minute, Mrs May will pull the plug and revoke the Article 50 notification rather than permit a no-deal Brexit. We could find ourselves in the situation, therefore, where the collective – for its different reasons - defies their leader and precipitates us into what amounts to an accidental no-deal Brexit. If that happens, it will have been brought about by the inability of parliament to bring a majority to bear for the deal, even though the vast majority are opposed to a no-deal – the law of unintended consequences. The one wild card in all this is the European Council. Although Mr Tusk has set out the condition for the EU-27 to agree an extension, it is quite possible that, at the eleventh hour, they hold an emergency council and agree to an unconditional extension – quite simply because many of the Member States need the extra time. If this happens in the context of a third rejection of the Withdrawal Agreement, though, the "colleagues" won't be doing the UK any favours. All this will mean is that we drop out of the EU without a deal at the end of June rather than at the end of March. And, if it is possible for a 30 June exit to be worse, it probably is, occurring as it does at the beginning of the holiday season. By then, most businesses that have them will have implemented their Brexit contingency plans, or have incurred irrecoverable costs in preparing for a no-deal Brexit. This means, deal or no deal, considerable economic damage will have been done. It is already too late to mitigate the economic effects. As to the political effects, there is no knowing where the repercussion will end. Rarely have we had the executive and the legislature at such odds and it is probably even rarer to find MPs less in favour with the public. Brexit is proving to be a destructive process and we are only at the first stage. We still have the long-term relationship with the EU to address. The only good thing to come out of all this is that the uncertainty looks set to end. 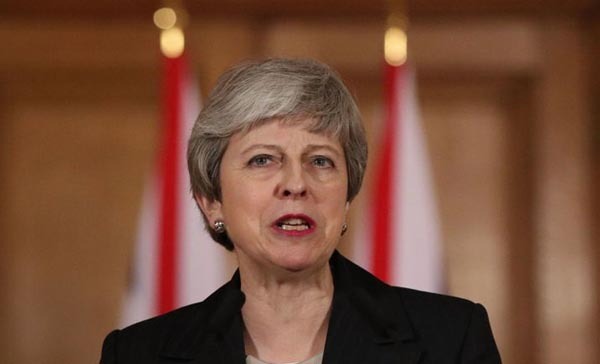 Mrs May is firmly signalling that she is not interested in a longer Article 50 extension and, if she fails to organise European Parliament elections, by the time it comes to the end of the short period, there will be no chance of a renewal, at whatever length. It will be moot, though, as to whether the reality of a no-deal will be better or worse than the uncertainty that led up to it. And, for all that, today will prove an anticlimax. It was always going to be a big ask to expect the "colleagues" to come up with an extension decision at such short notice. Some Member State leaders have not even had the time formally to consult their own parliaments. Thus, the action has been transferred to next week, the can taking one final kicking before it comes to rest against the Brexit buffers. I wonder if Mr Tusk has humour enough to have a sign on his desk saying "the can stops here".